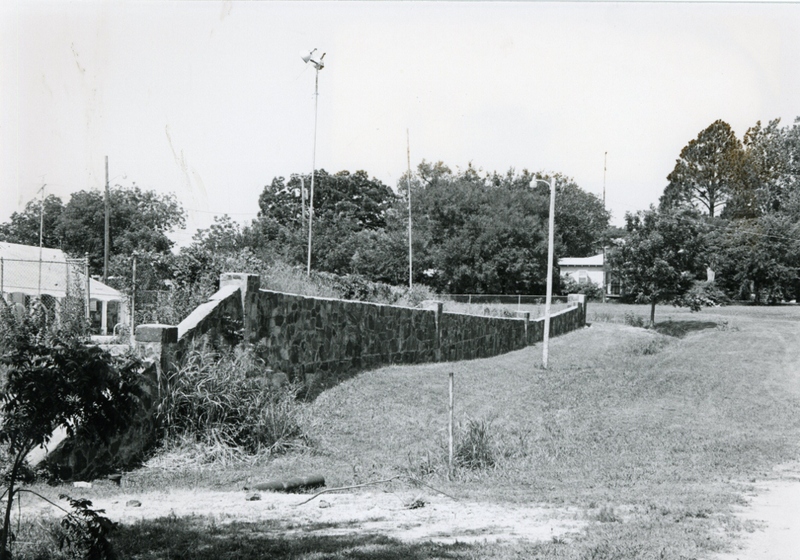 WPA work within the Wewoka City Park includes a stone wall that completely encircles the park, a swimming pool and bathhouse, native stone footbridges, a stone bandstand, and a park office. 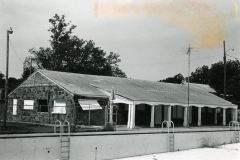 The swimming pool measures 135′ x 60′ and has a single-story, rectangular shaped bathhouse that measures 80′ x 54′. It is constructed of untooled and uncoursed native sandstone. There is a sense of play in the style of masonry. The roof is gabled with an intersecting center gable in front. The windows and gables have slanted wood plank insets to provide ventilation and privacy. The main entry is recessed within an arcade-style entryway. There is stone seating on the north and west sides of the pool. Addition of a shade roof along the side pool of the bathhouse has not compromised the integrity of the structure. 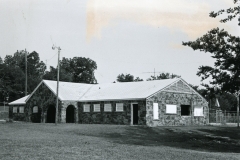 The park office is located about 50 feet southwest of the bathhouse. 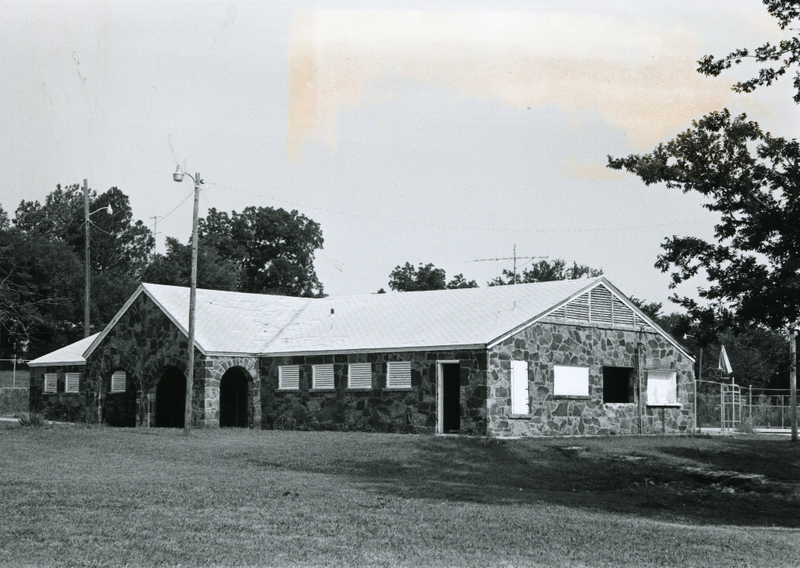 It is a single-story rectangular (15′ x 12′) building constructed of untooled and uncoarsed native sandstone. 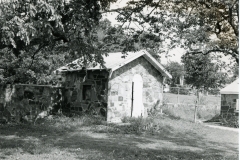 It has shingled gable roof and arched entry with keystone. 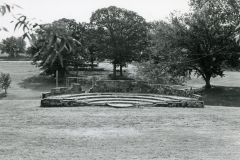 The bandstand is located about 125 feet southeast of the admission office. It measures 50′ x 27′ and is constructed from untooled and uncoursed native stone. It has four tiers and a curved back wall that is in need of some repairs. 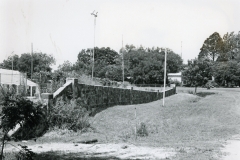 Footbridges made of native stone and high piers on the rock wall are found at various places throughout the park. 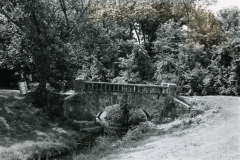 Park construction was some of the first work done by the WPA, permitting as it did the immediate employment of large numbers of unskilled laborers. 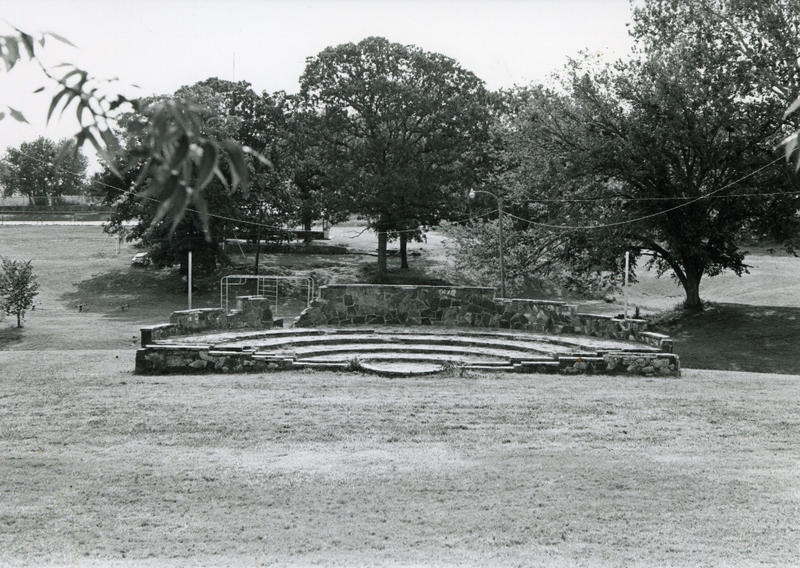 The Wewoka· City Park is a good example of one of these earliest projects and is unusual in its completeness; bandstand, foot bridges, pool and bathhouse all encircled by the ever present stone fence. 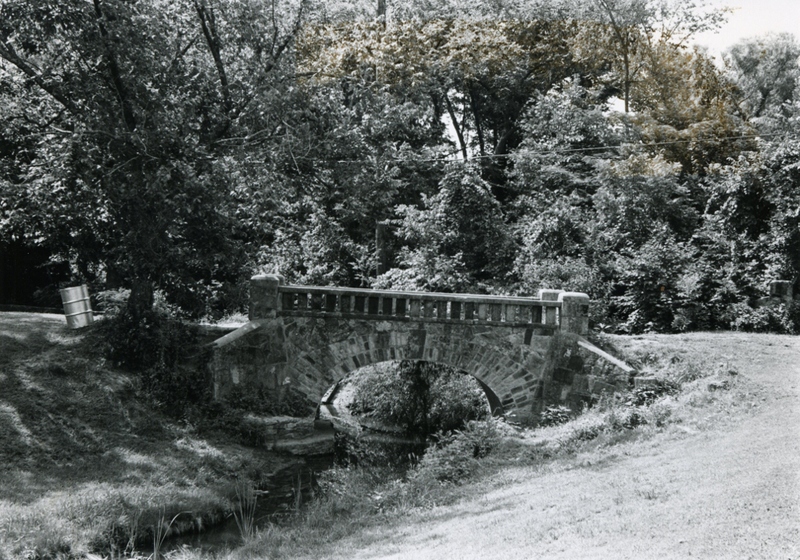 Planned to put large numbers of unemployed to work as rapidly as possible, the park also produced a useful facility that enhanced the recreational opportunities of a depression plagued population. More than most WPA projects, this one symbolizes a compassionate government responding to the needs of its people. 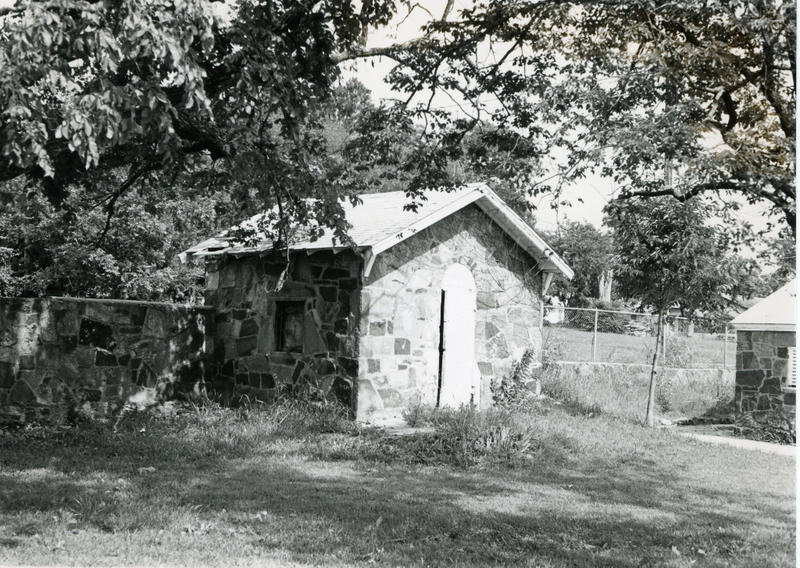 Architecturally, it is classic WPA: Native stone materials, unskilled masons learning on the job, bathhouse, admissions office and footbridges. VERBAL BOUNDARY DESCRIPTION: A tract beginning 650 feet east of the SW corner of the NE 1/4 of the SW 1/4 of Sec. 20. T 8 N, R 8 E. Then north 550 feet, east 350 feet, south 550 feet, and west 350 feet.